I’m sure you’re familiar with those Febreze commercials where they make you feel like you NEED to spray air freshener or other scents in order for things not to smell bad in your house. The problem is that those air freshener products are full of toxic chemicals that you are then taking into your body (adding to your toxic body burden). So what are you supposed to do when you have odors you need to get under control? 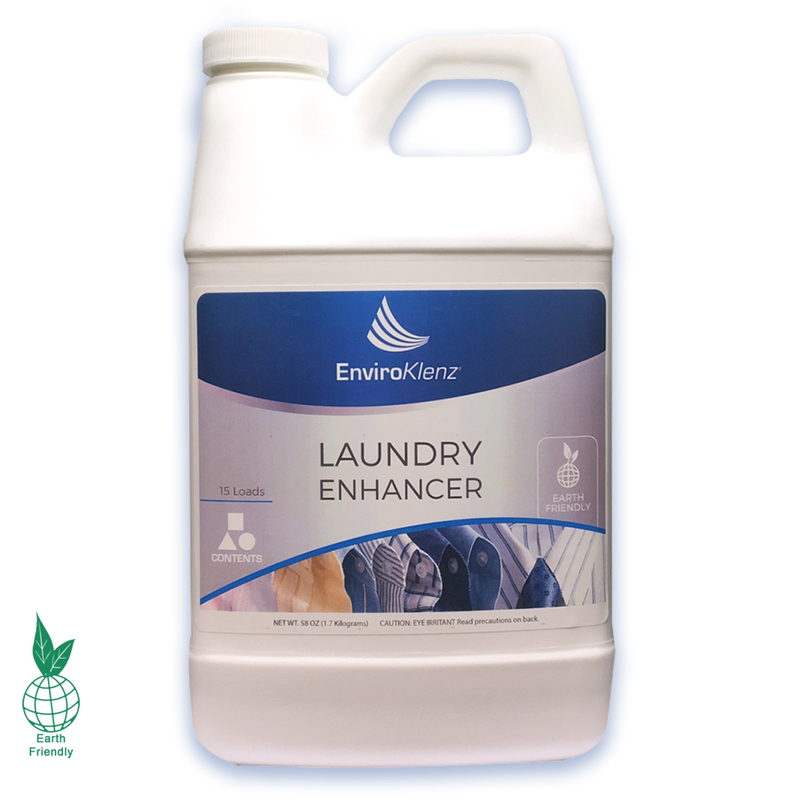 EnviroKlenz makes safe, eco friendly products with metal oxides (non-nano particles) to eliminate offending odors. They sent me a few of their products to test out, so here’s how they worked for me. This laundry enhancer liquid is something that you add to your laundry (in addition to your regular laundry soap) to eliminate odors. I used this with clothes that I sprayed bug repellent on (and because I use natural bug repellent, the smell REALLY permeates my clothing!). I’ve gotten used to my clothes continuing to smell like my bug repellent for a few washes, but this liquid almost completely eliminated the smell after one wash! Pretty impressive. 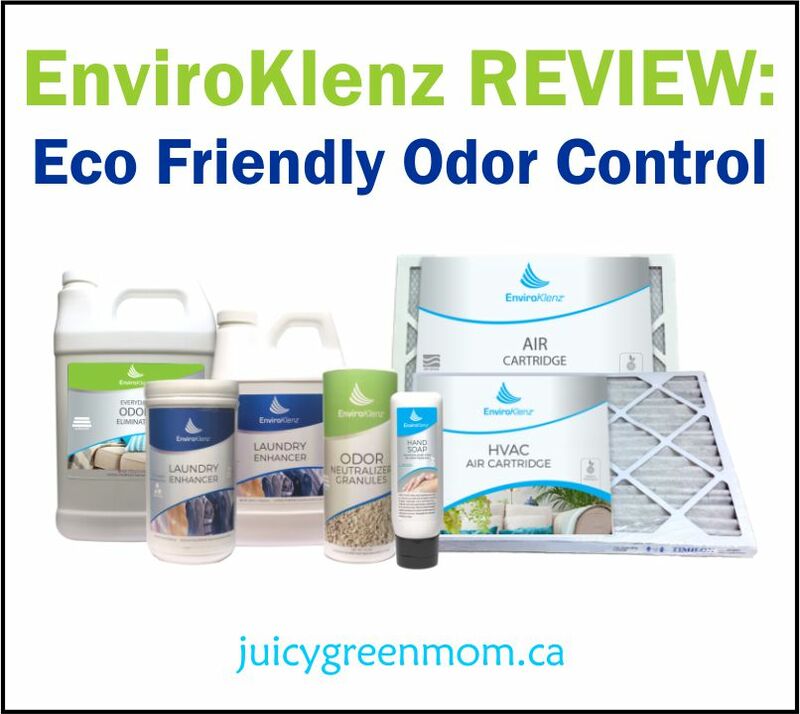 I’m impressed with how effective the EnviroKlenz products are for eliminating odors! They definitely make things like air fresheners completely unnecessary. 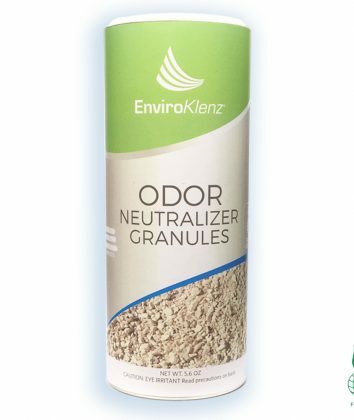 These odor absorbing granules are great for absorbing and deodorizing liquid messes (think potty training, pet messes, vomiting – all that gross stuff we all hate dealing with!). I tested them out when my daughter brought home her backpack from school and I discovered that she hadn’t closed her thermos full of yogurt all the way… and there was smelly day-old yogurt in her lunch bag, with the smell permeating her backpack. I dumped some granules into her backpack and emptied it out several minutes later – no more stinky smell! The granules helped to absorb the yogurt in her lunch bag and make it easier to clean off afterwards. I also used them in our recycle bin for empty drink containers (think milk containers that haven’t been rinsed out thoroughly enough…), and the granules got rid of the smell very quickly and easily. Very effective! This hand soap has a castile soap base (which is my favourite base for making my own DIY foaming hand soap), so it’s not as thick in consistency as other liquid hand soaps. However, I found that it was great for cleaning my hands and getting rid of any lingering odor after working outside in the garden, or after getting paint primer on my hands when painting my basement. So – do you want to give them a try? 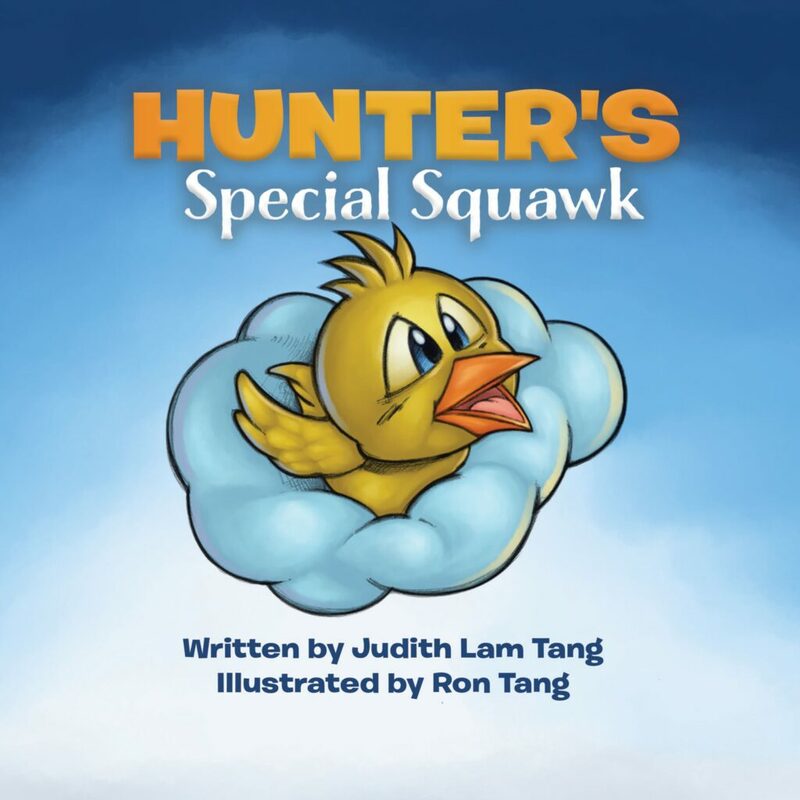 You can by entering this giveaway! EnviroKlenz is going to give one lucky winner a $100 credit for anything in their store! 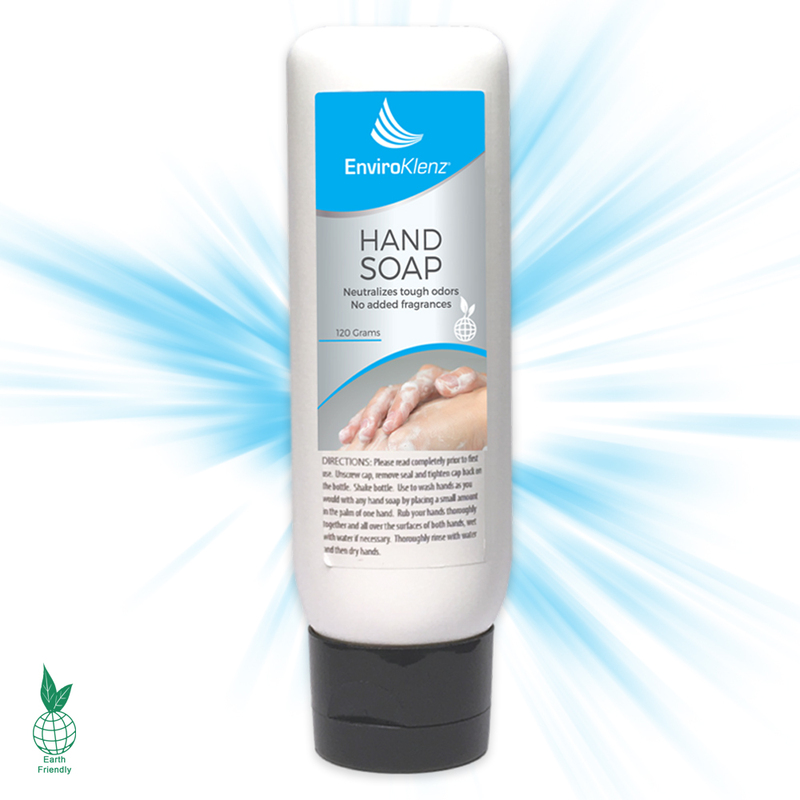 Which EnviroKlenz product would be most useful for you?